Unity in a Nutshell #1: "Good God!" -- Are you familiar with Unity's Five Principles and how they came about? Or, is it time to refresh your spiritual understanding of these timeless Truths? Listen to Rev. 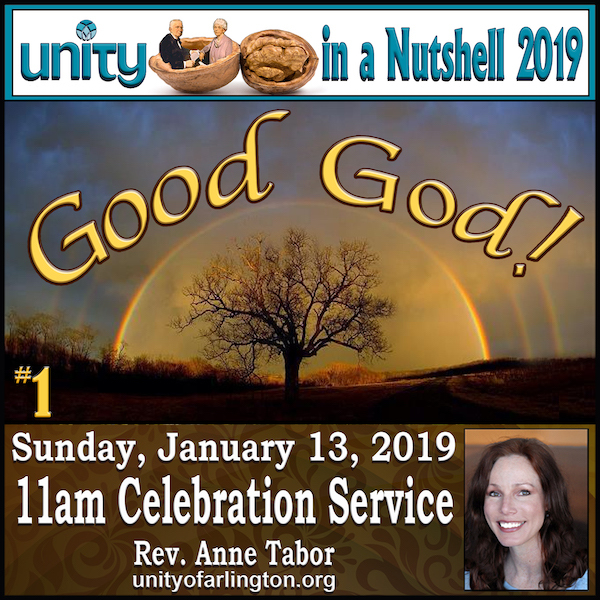 Anne for her back to basics five-part Sunday Message Series, "Unity in a Nutshell 2019." This powerful series is perfect for those new to the teachings of Unity, as well as, those of us who have been practicing these spiritual principles for years and look forward to a renewal of the essentials. In the first principle, we will explore the Divine Idea that God is Good and we are One with God! This is a great time to invite friends and family!